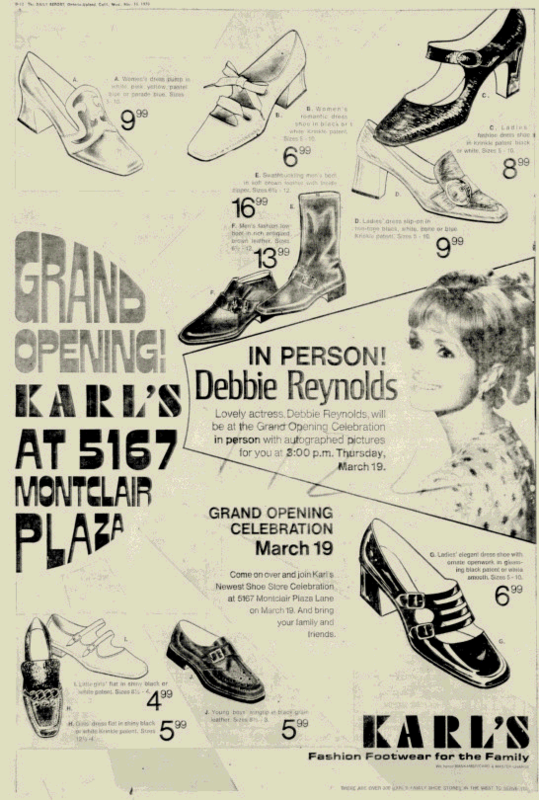 In 1970, Debbie Reynolds cut the ribbon at the shoe store owned by her then-husband in Montclair Plaza, Karl’s Shoes. Some people remember the day, and one had his photo taken with her. I tell the story in Wednesday’s column. Above, the advertisement from the Daily Report.